Waveplates introduce a phase difference between the fast and slow principal axis of the light wave. The optical axis of waveplate is parallel to the face. Light incident normal to the surface will be split to components polarized parallel and perpendicular to the optical axis with different refractive index and velocity. The difference in velocities gives rise to a phase shift which is called retardance. At any specific wave length the phase retardance is governed by the thickness. Waveplates are used to control the polarization state of a polarized beam, which is a necessary element for variable beam attenuators, beamsplitters and optical isolators. 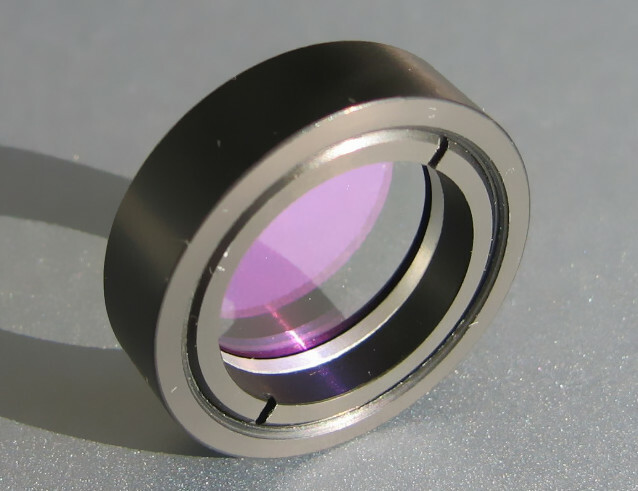 Idear Optics can manufacture a complete series of waveplates, include achromatic waveplates, zero-order waveplates, multi-order waveplates, dual wavelength waveplates, telecom waveplates, and ring or rotate mounts for waveplates.